Looking to re-ignite an ex’s attraction for you? Well, it’s time you ignored that part of the brain that has you convinced your significant other has a no-looking-back switch, and that you should give up already on trying to win them back. In the world of dating, there’s nothing like the Rubicon of fatal indifference, which when crossed, desexualizes you in the eyes of your ex to a point that any attempt to win them back is bound to amount to no fruition. 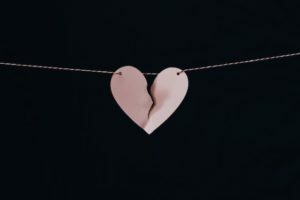 If either you or your significant other decided to sever what you had, but it just so happens your heart is still fluttering with love, there’s a possibility, a remotely one on the very least, that you might actually succeed in turning them back. Michael Fulmer of undoabreakup.com says that, “you might chase your loved one to end the pain more than any other reason. Breakups aren’t bad as such. If anything, they’re a great opportunity for you to do some introspection and win you back. Often, people rediscover themselves, hobbies, passions, and interest; more so after they find out the relationship consumed a greater chunk of their emotional resources and time. The point is, there’s a silver lining even in the most horrifying breakups you can go through. Now before we narrow down to the path of winning back the affection of an exiting lover, it’s important that you dedicate some major time of your life for self analysis. This is the part most people get wrong. They’ll embark on some self analysis, but only to the extent of winning back their exes, then revert to self denial about their current situation the moment they notice none of their effort is paying off. Undergoing a post breakup trauma is inevitable, in a way. But drowning yourself in the emotional wave that comes with it isn’t going to help you get your about-to-be-estranged lover back. Instead, you need to be a rational machine with a cold indifference to how you approach the situation and figure out the next plan of action. The first step after every breakup involves cutting off any form of contact. If possible, delete her number, Facebook, and everything else that might tempt you into snooping on her and making contact. The breakup trauma can lure you into self pity, which can lead to desperation. You need all the emotional support you can get. Friends and family members are the only people you can trust they’ll be there to support you. Go out. Have fun and put an all out to forget about your ex for a while as you try to figure out what next.The whole point of breaking any form of contact is to give your ex the time to miss you and, maybe, be the first to call you and try to win you back instead. It’s normal to feel like you’ll never find a better person to replace your ex after every breakup. But the truth is, it’s all a matter of time before it’s all behind you. What’s important is for you to give yourself time for the emotional dust to settle, and should it get to a point where you decide to get back together, then it should be natural and NOT because you decided to go after them.